If you have an email account then you know the importance of data it has got stored. And how sensitive it can be if not handled carefully. Outlook, one of the most widely used Email service provides you with the facility of storing and operating on email related data via the use of files. Data files used by Outlook are defined as the files that are used for storing and moving all and every type of email data. They are primarily of two types: OST and PST. OST stands for Offline Storage Table. These files are used by Outlook for automatic storage and downloading of text present in your email account. It is downloaded by default on your system if it is already not present. The major reason behind developing these types of files is to provide you with an offline alternative to work and manage your email files. All the changes made are synced onto the server once the connection gets reestablished. The Other type of file is PST. PST stands for Personal Storage File. As the name suggests it is used for manually archiving the data like attachments, images etc as per the user choice. The major advantage that comes with the PST file is that it is compatible with Outlook. It can be directly opened and data can be imported. So the major problem arises when you have to access OST files for stored data. As OST files cannot be directly opened. Doing so it may result in you damaging the data stored in the file. For this purpose you need a professional tool that will make this daunting procedure easy. Let’s introduce you the best tool for doing so: OST Extractor Pro. 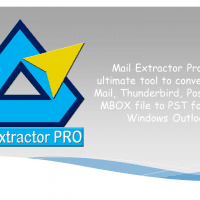 OST Extractor Pro is the best OST to PST converter tool out there in the market. And why is it so? OST Extractor Pro is the all round developed by USL Software that answers you every question and handles your every request regarding OST to PST conversion. If you get down right to business the tool supports the latest algorithm that is one of its kind at its core. It converts every type of OST files ranging from normal to corrupted or even somewhat damaged ones too. The tool converts each and every byte of data present in the input file while maintaining its integrity. The feature of maintaining the data integrity is one of its exclusive ones. The output file provided is completely error free and maintains the same file hierarchy as that of the input file, making the navigation and debugging of input file that much easier. This multipurpose tool is available for both Mac and Windows thus providing you with a single option for a single function on two different platforms. Conversion occurs not only from OST into PST but also into Thunderbird and MBOX, depending upon your choice. The tool has a free trial available for download that almost supports all the premium features the tool has to offer. So that you can become comfortable with the tool before moving on to the premium version. With an extremely easy to use interface and a high end core. This recommendation charts topper also supports its user with an online helpline service for any queries and problems. So download your trial today and get started. A Quick Approach to OST to Office 365 Migration That Does Not Leave You Fatigued! Previous story MBOX to PST Conversion on Microsoft Windows or Mac? USL Software is a software company specialized in email converter tools and email migration services. You can try the email migration tools for free. Convert MBOX to PST Mac – Best Freeware with a Trial Edition! OST to PST Converter for Mac from USL Software That Handles Large OST files with Ease! MBOX to PST Converter for Mac – Only Converter That Extracts Data Cleanly! […] that never works out in an accurate and professional manner. USL © 2019. All Rights Reserved.